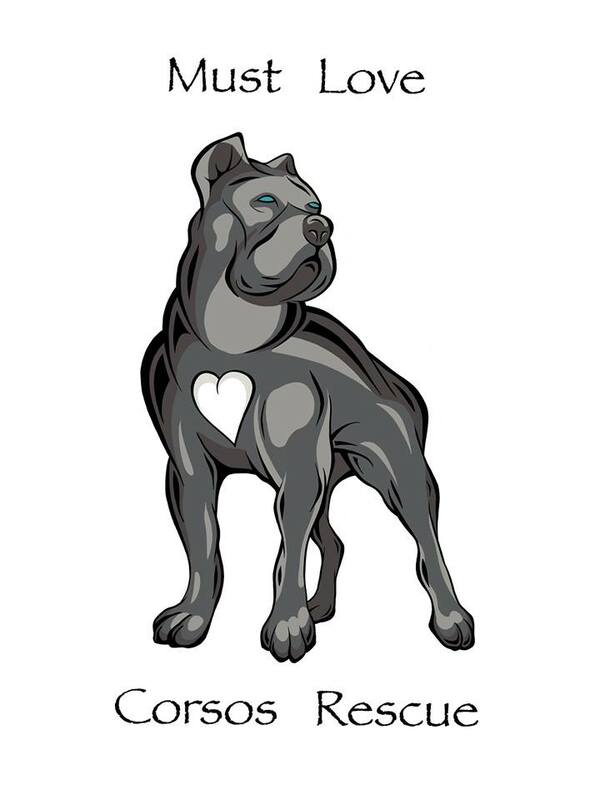 Must Love Corsos Rescue is a national non-profit breed specific rescue founded by my close personal friend Melanie Van de Walle. Melanie has played in an integral role in rescuing the medically fragile, forgotten, abused and unwanted Corsos in our community and nationwide. This demanding rescue is run by volunteers and counts on us to help sustain the needs of the dogs taken in via owner/surrender or saved in local animal shelters. If you are interested volunteering/fostering or bringing a rescue Corso into your lives we can help facilitate that. Please considering donating financially or with your time and talents to this worthy cause by clicking on the link below. All donations are 100% tax deductible. $50.00 from every puppy sold at Altiere Cane Corso is donated directly to Must Love Corsos Rescue. One Corso, One Human at a Time!